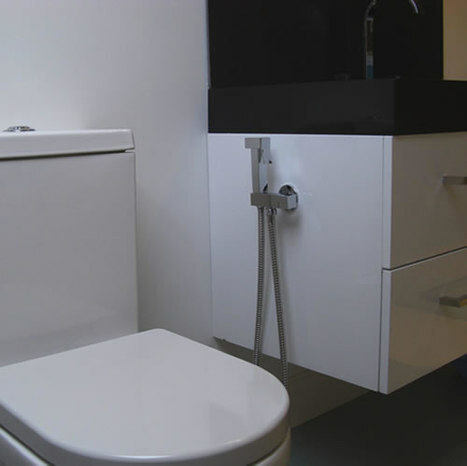 BRA5700: Cubic style bidet shower with integral shower mount with ceramic core valve: When only the best is good enough. 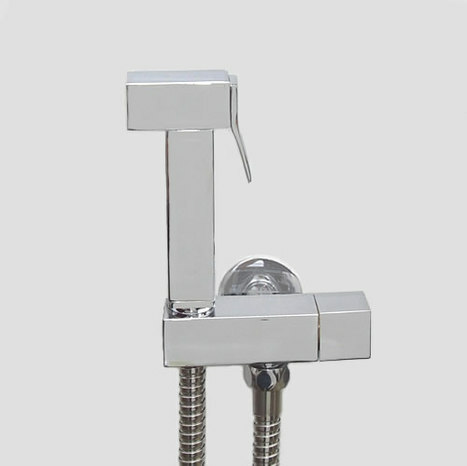 The bidet shower head and mount are beautifully designed and crafted from solid brass with mirror chrome finish. Bidet shower head with water control trigger The bidet shower head is manufactured in high grade brass with a mirror chromium plate finish as is the matching integral shower mount with valve. Weight of shower head, valve around 900 grams.When only the best is good enough. The bidet shower head and vale are beautifully designed and crafted in solid brass with mirror chrome finish. VAL1500 1/4 turn ceramic valve with Integral Shower Holder. Basic installation information available by clicking the Installation Guides. We strongly suggest you turn off your bidet shower after Each use at the mains valve on the integral mount supplied with this kit, to view why click HERE this not only extends the life of the shower and hose but also safeguards against accidental spillages.